Bake from Scratch magazine, May 2019: How The Bakery at Fat Rice became a Chicago icon. Radio Cherry Bombe podcast, February 2019: What’s the future of food journalism? Chicago magazine, January 2019: What’s up with Midwestern wine? The Rum Reader, December 2018: Protean rum breathes life into classic cocktails. Time Out Chicago, December 2018: A pint-size beer exhibit at the Field Museum explores Chicago’s thirsty origins. October magazine, November 2018: How to put down the Chardonnay and cook with beer. The Rum Reader, September 2018: Rare rum sleuths mend broken links to our drinking history. FSR magazine, September 2018: How should restaurants handle automation? National Culinary Review, September 2018: Let’s talk about veal. Chicago magazine, September 2018: The rookie’s guide to natural wine. Time Out Chicago, September 2018: A Chicago nonprofit pairs local chefs and special-needs individuals to create inspired bites. October, August 2018: How beer is finding a place in America's food halls. Chicago magazine, July 2018: How to make Quiote's strawberry-hibiscus paletas. National Culinary Review, July/August 2018: New Orleans sends a love letter to the iconic beignet. October, June 2018: Is hopped wine more than a marketing ploy? Chicago magazine, June 2018: A sommelier helps us buy wine at Target. Conde Nast Traveler: 10 reasons to visit Chicago this year. Taste, May 2018: Vanilla is massively underrated as a savory flavor enhancer. October, April 2018: Restaurants are tapping into custom beers. National Culinary Review, April 2018: Food tourism is gaining fans. FSR magazine, February 2018: Should you open a fast casual restaurant? National Culinary Review, November 2017: The next "it" cuisine doesn't need or want trend status. The Journalist, October 2017: Five brewpubs to visit in Chicago. InsideHook, October 2017: We spent the morning at Cellar Door Provisions to see how Chicago's best breakfast is made. 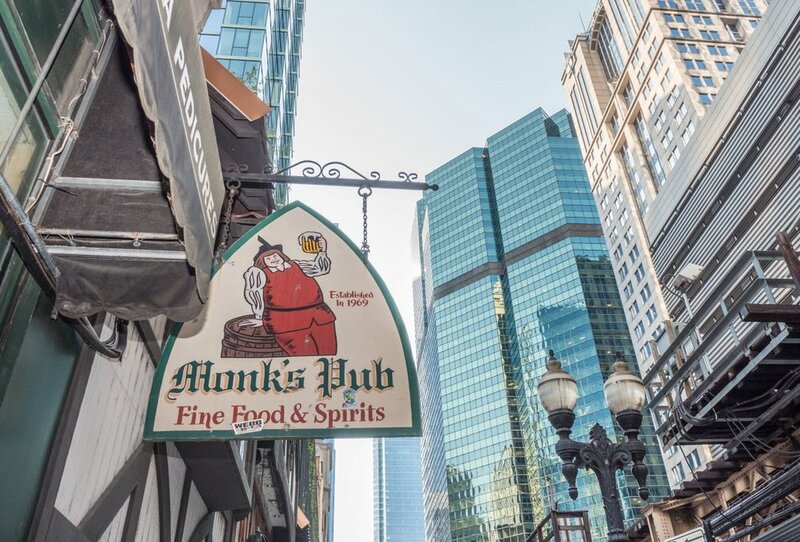 Chicago magazine, September 2017: Monk's Pub ain't going anywhere. Men's Book, Fall 2017: You won't miss the meat at these five plant-forward spots. Sizzle, Summer 2017: Popsicles grow up. InsideHook, June 2017: Know Your Corner Bar, Vol. 2: Nisei Lounge, Wrigleyville's last great dive. Chicago magazine, June 2017: Radish & burrata salad is the perfect early-summer starter. Teller, May 2017: Iconic Chicago speakeasy The Violet Hour turns 10. Restaurant Business, March 2017: How to drive bar business in the morning. QSR magazine, March 2017: The future of foodservice is here. And it's plant-based. InsideHook, March 2017: A compendium of Chicago's nine best dine-in breweries. Paste magazine, February 2017: This Chicago microbar pours some of the world's rarest booze. Chicago magazine, March 2017: Animale's executive chef shares his version of cacio e pepe. Restaurant Business, December 2016: Three ways restaurants are bringing back animal fat. QSR magazine, December 2016: Can lab-grown meat feed the world? Chicago magazine, October 2016: Moody Tongue's search for the perfect cake to go with beer. Restaurant Business, August 2016: What's driving nitro coffee? Chicago magazine, August, 2016: Andorka's serves up small-town charm and tasty sandwiches in the heart of Pilsen. Thrillist Chicago, July 2016: Chicago's fine dining scene has gone casual. How'd we get here? National Culinary Review, May 2016: Not your grandma's drink anymore, sherry is having a moment. OpenTable, April 2016: LA Times' food critic Jonathan Gold shares how to get to know a city through its food. Chicago magazine, April 2016: Bang Chop wants to rewrite the gospel of fast-casual Thai, one dish at a time. Thrillist Chicago, March 2016: Get to know the izakaya: Japan's answer to the Irish pub. OpenTable, February 2016: Tracing Detroit's changing food scene with one of its brightest young chefs. Zagat Chicago, February 2016: Stuffed food is like a present for your mouth. Here are 11 to love. QSR magazine, January 2016: "Healthy" doesn't mean what it used to. How are restaurants responding? Chicago magazine, January 2016: The Jibarito Stop goes from food truck to counter service. National Culinary Review, January 2016: Bitter: Taming that oft-misunderstood, distinctly adult flavor. QSR magazine, October 2015: Pizza concepts are upping the ante to keep up with the competition. QSR magazine, August 2015: Hiring immigrants in restaurants is as important as it is inevitable. Here's how to do it right. Chicago magazine, August 2015: At budget-friendly Same Day Cafe in Logan Square, the details make all the difference. National Culinary Review, July 2015: Ever-resourceful chefs are embracing the whole vegetable. QSR magazine, June 2015: Quickserve restaurants large and small are embracing more naturally raised meat, but not without challenges. Crain's Chicago, January 2015: Restaurants like to boast that they use locally sourced food. But how's that done during Chicago's long, harsh winters? TimeOut Chicago, May 2015: Six luscious beef tartares that all carnivorous Chicagoans should try. Time Out Chicago, July 2015: The 6 best micheladas in Chicago. DiningOut Chicago, June 2015: tesori trattoria & bar—a treasure all its own. Chicago magazine, April, 2019: Make chef Thai Dang’s Vietnamese whole-roasted fish. October magazine, March 2019: Chicago’s Middle Brow Beer is building a home for social justice. The Rum Reader, January 2019: Long pigeonholed as casual seaside fare, Caribbean cuisine is claiming its fine-dining voice. Chicago magazine, January 2019: What to cook in the Instant Pot you got for Christmas. QSR magazine, January 2019: Fast-casual kids menus are going premium as younger palates prove to be more adventurous than generations past. Chicago magazine, October 2018: These sweet potatoes deserve a place on your Thanksgiving table. Chicago magazine, October 2018: What wine goes with hot dogs? QSR magazine, October 2018: Restaurants rally to ban plastic straws. October, September 2018: East Asian brewpub BiXi Beer isn’t quite like anything else in Chicago. Stay Cool, Mom, August 2018: Lunch for one: an essay on maintaining sanity. FSR magazine, August 2018: It's time to jump on the big-data bandwagon. InsideHook, August 2018: Twain is a restaurant inspired by your Midwestern grandma's cookbook. QSR magazine, August 2018: The state of health in the quick-service restuarant industry. Plate magazine, July 2018: Rice pudding gets a fried twist. Taste magazine, June 2018: After a luxurious 250 years, caviar returns to its humble roots. FSR magazine, May 2018: Bootstrapping your first restaurant. Chicago magazine, May 2018: Giuseppe Tentori shares his snapper ceviche recipe. QSR magazine, April 2018: Virtual reality is on the upswing in restaurants. FSR magazine, April 2018: Middle Eastern cuisine is ready for its moment. Time Out Chicago Restaurant Review, March 2018: S.K.Y. Chicago magazine, November 2017: Make this simple, hearty winter casserole. Sizzle, Fall 2017: Chefs restore honeybee colonies in the U.S.
Chicago magazine, October 2017: We "ran the circuit" at Italian Village for its 90th anniversary. Eating Well, September/October 2017: Chefs across the country are turning to the richer flavor of older animals. InsideHook, June 2017: Detroit-style square pizza has landed in Chicago. Men's Book, Summer 2017: The sky's the limit at these five new and revamped Chicago rooftops. QSR magazine, May 2017: At McDonald's, are customers still lovin' it? InsideHook, May 2017: Five dishes, five stories with Mi Tocaya Antojeria. National Culinary Review, April 2017: Shared plates call for behind-the-scenes finesse. InsideHook, March 2017: Know Your Corner Bar, Vol. 1: Gallery Cabaret. Live music every night with no cover. Oh, and lasagna on Sundays. Chicago magazine, March 2017: Can't commit to a bottle of wine? Income Tax says "Drink Your Share" instead. Crain's Chicago Business, February 2017: 'Nduja Artisans is opening a restaurant/deli in West Town. National Culinary Review, February 2017: There's a steakhouse shakeup happening in the Windy City. Chicago magazine, January 2017: Round biscuits? Horseshit. Fooditor, November 2016: Wixter Market wants to change how you think about fish. Fooditor, October 2016: Is Lakeview ready for an Entente with fine dining? National Culinary Review, September 2016: Omakase-style menus are popping up everywhere. Chicago magazine, September 2016: A brief history of Lula Cafe's 2,080 farm dinner dishes. Thrillist Chicago, August 2016: Your next meal needs to be at Chicago's Revival Food Hall. Chicago magazine, July 2016: Iconic pizzeria Burt's Place will reopen with new owners, who spent months learning the late owner's recipes. FSR magazine, June 2016: How American chefs interpret Italy's long-held whole-animal cooking and curing traditions. Chicago magazine, August 2016: Galata is the University Village newcomer with the look of a bar and culinary soul of Istanbul. National Culinary Review, July 2016: New Orleans' food scene has exploded in the decade since Hurricane Katrina. Inside Hook, June 2016: Nine under-the-radar lunch spots in Wicker Park. Chicago magazine, April 2016: James Beard finalist Jenner Tomaska is taking the reins at Grant Achatz's Next. Thrillist Chicago, April 2016: The bizarre building histories of 10 Chicago bars and restaurants. QSR magazine, April 2016: Veganism is taking over fast food. OpenTable, March 2016: Get to know Sarah Grueneberg, the "Monteverde" behind Chicago's hottest pasta spot. Crain's Chicago, December 2015: These chefs lowered the sodium in popular dishes, and diners didn't notice. CSP magazine, December 2015: Trends and recipes to tweak and translate for convenience store foodservice. Chicago magazine, December 2015: Fill up on hearty Midwestern fare at Stock, but don't get attached to much on the fleeting menu. Chicago magazine, December 2015: The Midwestern omakase at newcomer Arbor is wonderfully one of a kind. National Culinary Review, October 2015: Italian-inspired, regional Italian, new Italian--just don't call it "Italian American." 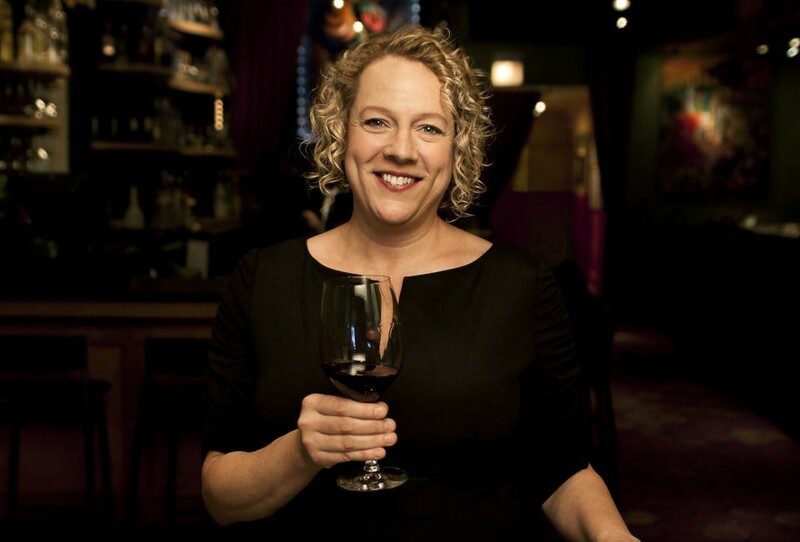 Crain's Chicago, July 2015: Are sommeliers becoming obsolete ... or evolving? National Culinary Review, April 2015: Taste the world in Indianapolis' most extraordinary strip mall neighborhood.